"What is this summer of which you speak?” says Vanessa, a perfume blogger who runs Bonkers about Perfume. I think that it is a sentiment shared by many of us in the United Kingdom. Therefore, to begin, I would like to explain that I understand that summer in the UK is more of a fantastical season to many of us and that can affect our interpretations of style and in this case, preference of fragrance. I think that it is important to remember that when it comes to choosing a perfume in any season, you should choose one that you enjoy and believe represents your personality, feelings and style. What type of scent do you feel fits around you and your environment? As Christian Dior said himself, “A woman’s perfume tells more about her than her handwriting,” so why would you want to portray something that you are not? Taking that into account, spend a second thinking about what type of scent you find yourself reaching out for in the warmer months. citrus, green and wood notes. Vanessa follows this notion. She says, “heavier orientals, strongly spicy or woody or patchouli-based scents, also ones with prominent incense, or treacly or 'barnyard’ vanilla,” are some of the scents that she avoids during the summer. "I would also add to that more powdery fragrances, which - while comforting in winter - can feel a little suffocating in hot weather. Examples of these fragrance styles would be Le Labo Labdanum 18 or Poivre 23, DKNY Black Cashmere, Guerlain Angélique Noire or Bois d'Arménie - and maybe even my beloved Ta'if - though I might get away with it in the evening when the temperature has dropped a bit. Yes, anything that makes you think of Christmas or bonfires or pumpkins or wrapping up warmly isn't going to work, basically." Soap & Glory - Mist You Madly. When choosing a fragrance for the summer, you do not need to feel as if you are constrained within an unwritten code of conduct. If a perfume doesn’t contain a citrus note or provide a fresh aroma, it doesn’t mean that you cannot wear it. You follow your own rules and you can break them at any time. "I know many people wear all their fragrances year-round,” adds Natalie. “Truly, anything goes!" However, summer definitely brings numerous floral and citrusy scents to the market. This is easily seen in this seasons new releases. Dolce by Dolce and Gabbana features notes such as water lily and neroli amongst other florals. 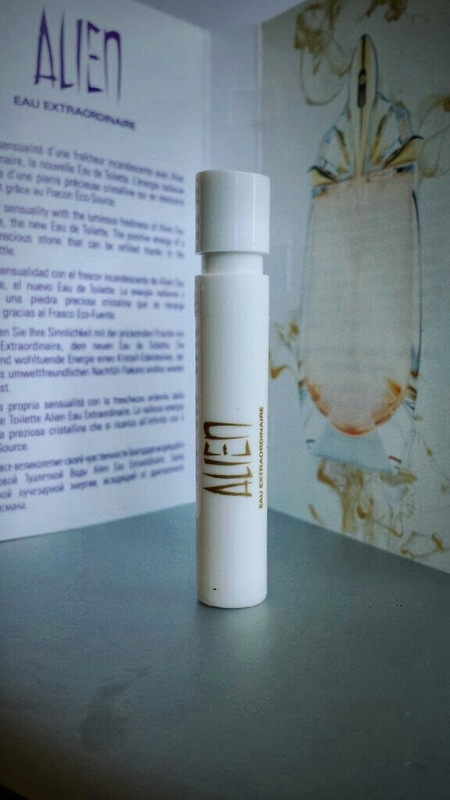 Thierry Mugler’s new Alien Eau Extraordinaire includes bergamot, neroli, tea and tiare flower. They are fresh notes, which as we have already seen are the types of scents that people are drawn to in the warmer months. But with the wide range of new fragrances, it can be difficult to choose which ones should be on your radar. "I think the new one from Dolce & Gabbana, Dolce, will do well simply on account of its pretty bottle and green juice,” says Vanessa, "I think green juice may still be 'having a moment' in the mainstream - there was that Givenchy Dahlia Noir L'Eau release last year, and Chloe and Miss Dior Chérie both had fairly recent green flankers.” This seems to be mirrored by what Dagmara continues to say. She likes "Marc Jacobs Daisy Sunshine Delights and Elie Saab L’Eau Couture,” both of which are new, green flankers of their originals. Summer isn't all about green juice, though. "I am very pleased that Thierry Mugler is releasing a set of new fragrances, rather than adding to the sea of summer flankers we see at this time of year,” says Natalie. "The Mugler Les Exceptions collection includes two picks for summer: Chyprissime and Supra Floral. I am also excited about the new perfume line from Roads, a Dublin-based lifestyle company. The fragrances sound incredibly atmospheric - can't wait to try them." Natalie states “Estee Lauder's Bronze Goddess,” as being her favourite summer fragrance. She then adds, "This year, the brand is bringing out a shimmering body oil spray and a whipped body creme. Brilliant." "I've just bought Marc Jacobs Daisy Sunshine Delights and I can see me wearing this perfume throughout the Summer [day time] a lot,” says Dagmara, "for the evening it will be Dior J'adore as it's a bit stronger, more sophisticated scent but not too heavy or overpowering and it’s my all time favourite!" Vanessa adds, “If the weather is pretty 'meh', which it is most of the time where I live, I wouldn't hesitate to carry on wearing some of my favourite light orientals, ambers or musky scents such as Annick Goutal Musc Nomade, Prada l'Eau Ambrée or Marc Jacobs Splash Amber. And if the weather is truly dire, it's no holds barred!" Discussing what himself and Madame Persolaise will be wearing during the summer, Persolaise says, “truthfully, we make no distinction between day and night scents. 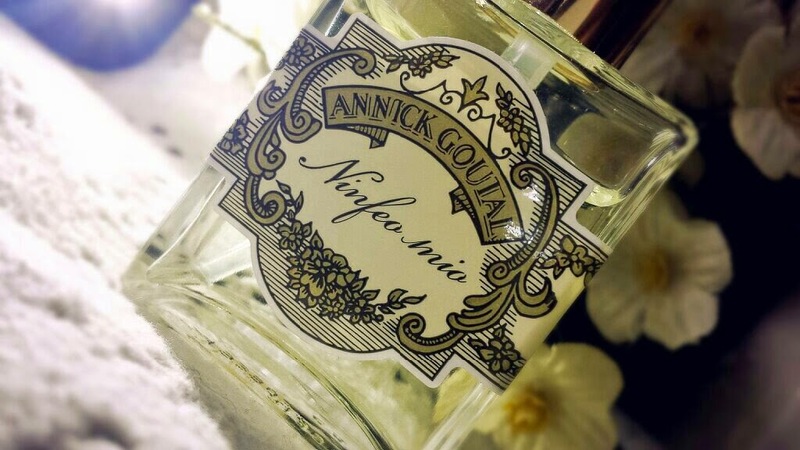 I suspect I'll be wearing Chaldee, Terre D'Hermes Eau Tres Fraiche, Interlude Man and Laine De Verre, whereas Madame Persolaise will be wearing Portrait Of A Lady, Lys Soleia, Sahara Noir and Santal Majuscule." 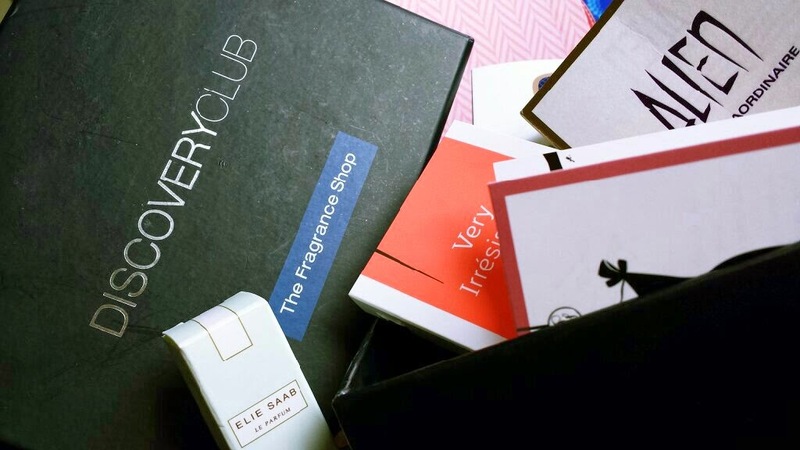 It can be very easy to be drawn in to the heavily promoted new perfume releases when you wander into a fragrance shop or department store. You will likely be told that it is the ‘necessary’ fragrance that everybody needs right now, but the key word to hear is ‘everybody.’ If the scent suits you and it feels right, then by all means buy it, spray it and love it. Just don’t feel forced to smell the same as everybody else in the street! If you think it smells bland and boring whilst everybody else is raving about it, don’t feel pressured to buy it! You choose a perfume for yourself and not for others. It is a personal choice. When it comes to choosing a new summer scent, you need to act within your own barriers. Do you love citrus scents? Then choose a citrus! If the sales assistant raves about florals and only wants to show you floral fragrances, then just request to test the citrus that you really want to smell. Fragrance shouldn’t be about blending in to the crowd, it should be an expression of your personality - a second skin, if you will - and a sales assistant promoting a new release does not dictate your method of expression. You are the one with the control over that. samples that you can test at home! Along with this, never feel bad about asking for a sample of a perfume - especially if you’re looking at spending a lot of money on it. Sometimes the answer will be no, and this is much more likely if the fragrance was released years ago. However, having samples gives you the ability to test out a fragrance for yourself to see whether you love it enough to commit to a purchase. If you find yourself nodding along in agreement with the comments from the wonderful people who have contributed their thoughts here, then definitely find some time to check out the fragrances that they have discussed. You could encounter your new signature fragrance! 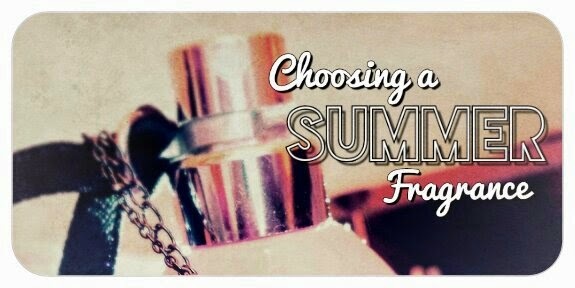 What perfumes are you wearing this summer? & Thank you again for your contribution! 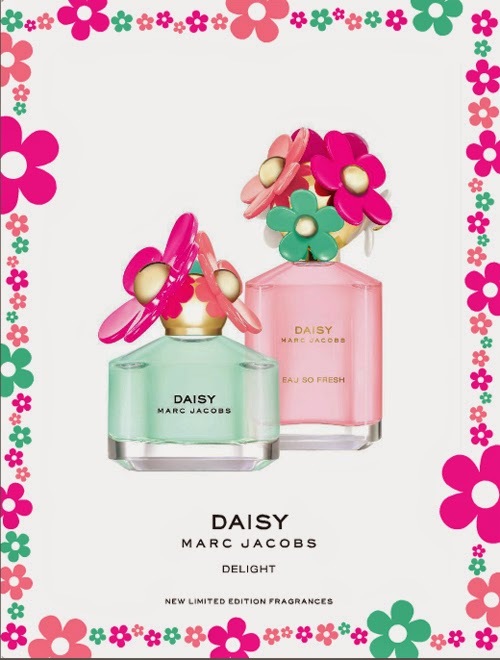 Omg Marc Jacobs and his "Daisy" line. Love it. 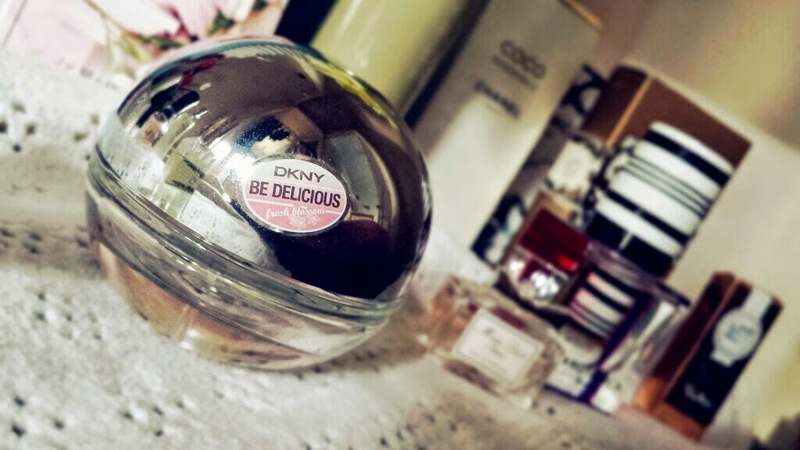 Great post, it is always nice to wear a different perfume in summer :) I love your blog and I have followed you with Bloglovin , if you ever get a chance to check out my blog I would be delighted thanks! Hey there. Super cool piece. Loved reading what you all are wearing this summer in the Northern Hemisphere.